While the Fourth of July invokes excitement as many Americans prepare to spend time with family, attend parades and watch fireworks shows, 4,000 immigrants are participating in a different sort of celebration. The U.S. Citizenship and Immigration Services (USCIS) is celebrating Independence Day by swearing-in over 4,000 new U.S. Citizens between July 1-4. There are 50 naturalization ceremonies being held across the country at historical locations including George Washington’s Mount Vernon in Virginia, Thomas Jefferson’s Monticello in Virginia, the State Capitol Building in North Carolina, and even Saguaro National Park in Tucson, Arizona. Citizenship candidates will take the Oath of Allegiance where they will swear to support the Constitution, renounce all allegiance to any foreign prince, potentate, state, or sovereignty of whom or which the applicant was previously a subject or citizen, and support and defend the United States against all enemies. 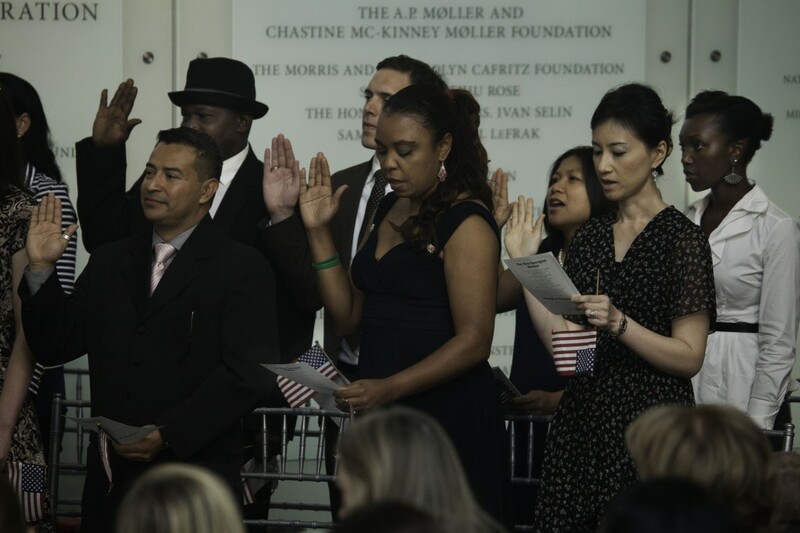 On Tuesday, 20 people became new citizens after swearing the Oath of Citizenship during a naturalization ceremony led by a federal magistrate in Brooklyn, New York. The new citizens hail from 17 different countries, some of whom have been in the United States for 20 years with occupations ranging from an accountant to a nurse’s aid. There’s no better way to celebrate this great nation of immigrants then by welcoming thousands of “Americans by choice” into the ranks of citizen. Photo Courtesy of the American History Museum.